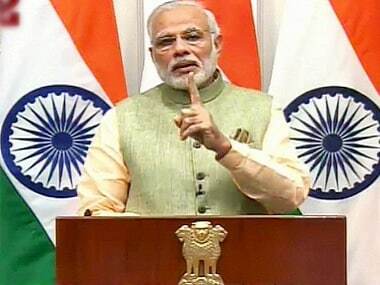 Prime minister Narendra Modi-led Bharatiya Janata Party's (BJP) landslide victory in the politically important state of Uttar Pradesh has put the spotlight back on the most important aspect of development, i.e. pushing more reforms. After winning in 325 seats out of 403 in Uttar Pradesh state assembly polls announced last week, stock market players on Dalal Street gave a big thumbs up on Tuesday as key benchmark indices rose with the Nifty hitting a record high, amid expectations that the political stability will help Modi government pursue more reforms in the days to come. In fact, several foreign and domestic brokerage houses were quick to raise the targets for the Sensex & Nifty in the near to medium term. So, will Modi, buoyed by his phenomenal success in recent state polls, step up and push through the politically sensitive labour reforms or banking sector reforms? Though a section of observers do say this is the right time to take these crucial steps, there are also doubts as to whether he will indeed press ahead. Many feel the prime minister will continue with the populist rural steps in the next couple of years, given the next general elections are in 2019. It has to be remembered ever since Congress vice-president Rahul Gandhi made the 'suit boot ki sarkar' jibe in April 2015, Modi and the BJP have desperately taken steps to alter the government's corporate-friendly image. Also there is a lesson the BJP learnt from the previous NDA government's 'India Shinning' campaign in the run-up to the 2004 general election, which backfired miserably. The general reading has been that the Atal Bihari government was booted out for ignoring the rural population in its growth strategy. 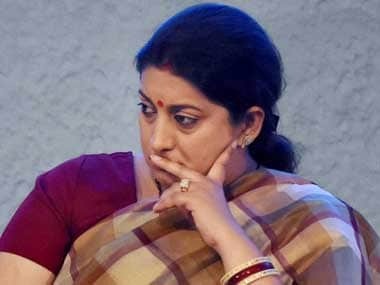 Similarly, the UPA-II's 'Bharat Nirman' campaign, too, did not yield any positive results to the Congress party in the 2014 Lok Sabha elections as job losses, corruption charges and slowdown in economy hurt its electoral prospects. 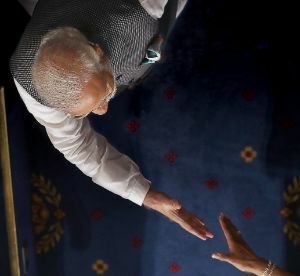 With just two years to go for the general election, prime minister Narendra Modi would not want to risk his and the party's image as being a pro-business party. 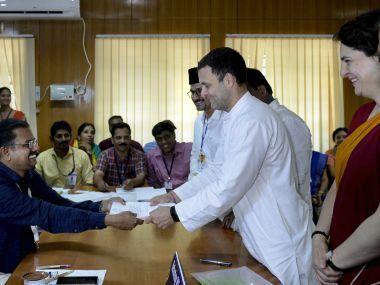 The suit-boot-ki-sarkar jibe by Rahul had held a mirror to the BJP, which has taken all steps possible to ensure that the Congress doesn't get a chance to repeat it. AK Bhattacharya in an article notes ever since this charge by Rahul, that "the BJP government has become more circumspect and defensive in its approach to big reforms that would be seen as benefitting business". He argues that the policy making exercise by this government in the past 30 months indicates that even the thumping success in Uttar Pradesh may not see a "sudden spurt" in reforms. "This cautious approach seems to be an outcome of the strong political resistance it faced during its early attempts at policy changes like amending the land acquisition law or allowing foreign investment in retail," the article says. The Modi government has been making policy changes only after getting all political parties on board. For instance, the government recently passed the controversial Goods and Services tax (GST) bill in parliament following consensus from most of the political outfits. Even the demonetisation exercise undertaken by the government in November last year was packaged in such a manner that the BJP party convinced the poor people in poll-bound states that the move was largely aimed to mainly root out corruption and blackmoney from the system. Since the BJP government came to power in 2014, it has met with stiff resistance from other political parties in the Rajya Sabha to push key reforms where it doesn't have a majority. Despite the recent poll success in UP and Uttarakhand, the government will be able to improve its numbers in the Upper House only by the middle of next year, and hence any scope for pushing big-bang reforms in the immediate term remains bleak. In fact, a recent Bloomberg report suggests that reform pace may stagnate or reverse if the Modi government interprets the victory in UP as a reward for his demonetisaton exercise or for the several welfare measures he has taken in the recent years. But the truth is, despite the 7.1 percent GDP growth claimed by the government, the economy is facing challenges on several fronts, especially, after the note ban that has resulted in widespread job losses in the informal sector and hurt the consumption demand in the economy. In this context, the government should ideally feel more confident to take up reforms such as privatising loss-making PSUs, undertaking disinvestment in several blue-chip companies, taking up banking reforms, and bringing in labour law changes. These are important to attract investments into the country, which is the only way the government can create more jobs, a promise that Modi has miserably failed to meet. 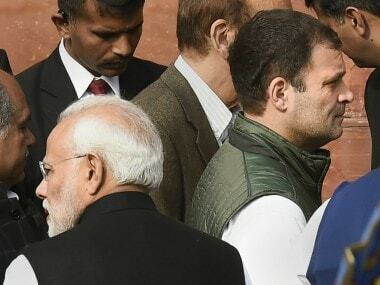 However, most of these pending reforms are likely to take a backseat if Rahul's suit-boot-ki-sarkar jibe continues to play at the back of Modi's mind, prompting him to focus more on populist steps. In other words, for Modi to push reforms, he will have to first shed the fear of suit-boot-ki-sarkar charge. Other wise, on jobs front, he may be facing a big disaster.